As followers of Jesus Christ we are taught via the scriptures to honor and obey the laws of the nation in which we live. 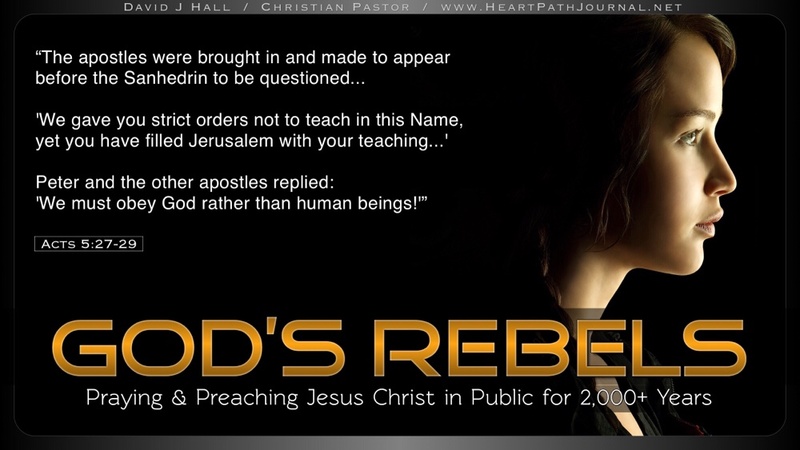 At what point should we become God’s Rebels, and to what extent should we obey God rather than man? We should fulfill every single command and directive from God while we break only those laws of mankind that contradict God’s laws. Let’s pray and preach in public, filling our cities with the Name and Message of Jesus Christ. Let’s be gracious, compassionate, and passionate Rebels of God. Every powerful Man of God and Woman of God throughout history started out as a child. Your son or daughter [or even other children within your sphere of influence] as unlikely as they may seem some days, could very well be tagged by God for an incredible mission in His Kingdom. Samson was just one of many whose lives are recorded in scripture that show how God, from even before the time of their conception, had prepared to use them. A Janitor in a school that needs a Prayer Warrior to intercede, praying onsite with insight, while working through the classrooms. 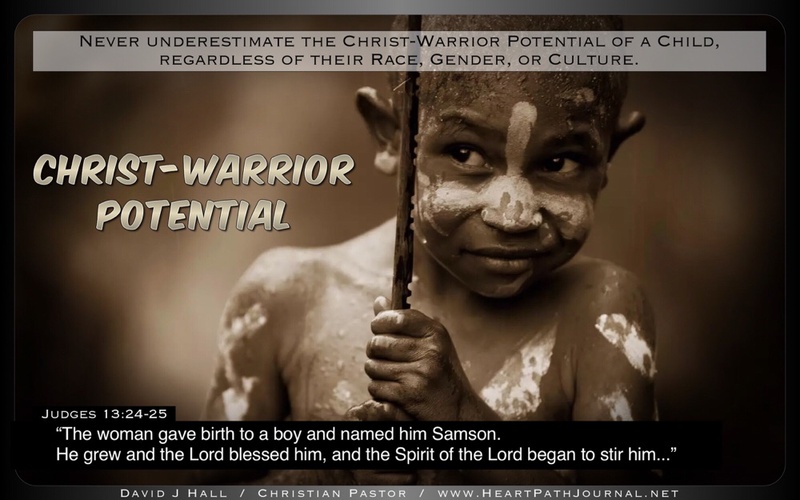 Never underestimate the Christ-Warrior potential of a child, regardless of their race, gender, or culture.